Today’s guest post comes from blogger Kate Kresse at Believe Anyway. She recently wrote a post titled “We were loved before we existed“. It was much more than a statement of her faith, it was also about people who loved and influenced her. I asked Kate to share some thoughts for readers to try in recording their own lives in the love of work and love for and from people. Her questions for you to consider come first, then she has reproduced her post below. 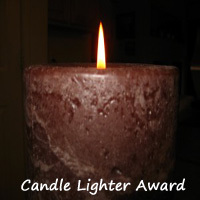 One last comment about Kate – she is also the creator of the Candle Lighter Award, used to recognize blogs and bloggers who bring light into the darkness of the world. You don’t have to receive it to give it away and it be given any number of times. Please check it out. How long have you been aware that you are loved? What circumstances built that awareness? What love have you received? In what ways does love affirm you? What is the difference between the love you feel for the work you do and the love you feel from others? An old friend of mine posted the above quote on his Facebook wall. Now, I absolutely love Charles Dickens’ writing. I always have. Of course, this time of year most people DO love Dickens–especially The Christmas Carol. The above quote truly reminds me of God, of course. He loved us before we were born. He loved the entire human race before He began to create it. There was never a time when He did not love me. Ever. On a bad or down day that is especially reassuring. I think about my son and know that I have loved him from the moment I knew he was formed. God loved him even before that. It is life-affirming to know that one has always been loved. Yes, there are times when we feel lost, alone, lonely, or perhaps even abandoned. But we must remind ourselves at those times that it is an illusion. We are not alone. God has not left us. He never will. He is steadfast, loyal, and true. By this point in my life I have some friends that I have known for decades. They are spread out all over the country, because I have moved many times. I had a phone conversation with my friend, Renee the other day. She lives in Ohio and we met the fall of our freshman year of college. We rarely get to see each other, and don’t even get to talk on the phone very often. But when we do, the decades apart just fall away. I said to her the other day….do you know we have been friends for close to 40 years? [yeh, I’m getting up there, right? I’ve even known her longer than I’ve known my husband!]. She paused. She said [‘you know, i can no longer remember a time in my life when we weren’t friends’]. She is right, of course. I cannot remember a time when we weren’t friends. Many of my other dear close girlfriends have been friends since my son was tiny. He is a grown man now. One of my other girlfriends has been a friend of mine since we were in junior high. We aren’t in regular close contact except through our blogs. But she is in my heart. Friendships are such a gift. It is just so life-affirming to have friends…to have love. My girlfriends around the country know me warts and all. I am a full-disclosure kind of gal. It is too hard to maintain pretenses and masks. I figure if people are going to reject the ‘real me’ I would rather know about it sooner than later. I have been lucky, and blessed. Friendships have been showered upon me. I don’t mean I was in the ‘popular crowd’. I wasn’t in that group. But in my youth group at church, speech team at school, and various other community involvement type groups I had friendships that mattered to me…kindred spirits. That was in my teen years. In college I found kindred spirits–always at JUST the right time. God continued to provide love, friendship, hugs, kindred spirits. That has continued to this day. Why has He been so kind and generous with me? Oh that is SO easy to answer. He expects me to pass that love on. He expects me to make a difference in the world. He expects me to give 100 times more than I receive. How do I develop the strength to do that? Again…easy to answer. I ask the source of all my strength….God. He loves to help me help others. He loves to do the same for each of us. He has truly loved us before we existed (and ever since). 2011 has been a banner year. We have had suffering, illness, loss, difficulties, challenges, and mountaintop glorious days, weeks, and moments. I thank God for each person I have encountered (face-to-face, by phone, email, and in the blogging world). May God continue to bless us abundantly. I am a perennial optimist. I shall continue to light a candle in the darkness. I shall not curse the darkness. I shall light it up as much as I can. Thank you for letting me do this guest blog–and thank you for the wonderful things you wrote about me. You are more than kind. You’re welcome – it was a great post and you did a nice job of framing it up with the questions. Here’s a funny story for it too – apparently my husband unsubscribed to the wrong blog. He loved the post – thought it was very good. Didn’t realize that I hadn’t written it. So, you have another fan now! It was pretty funny. 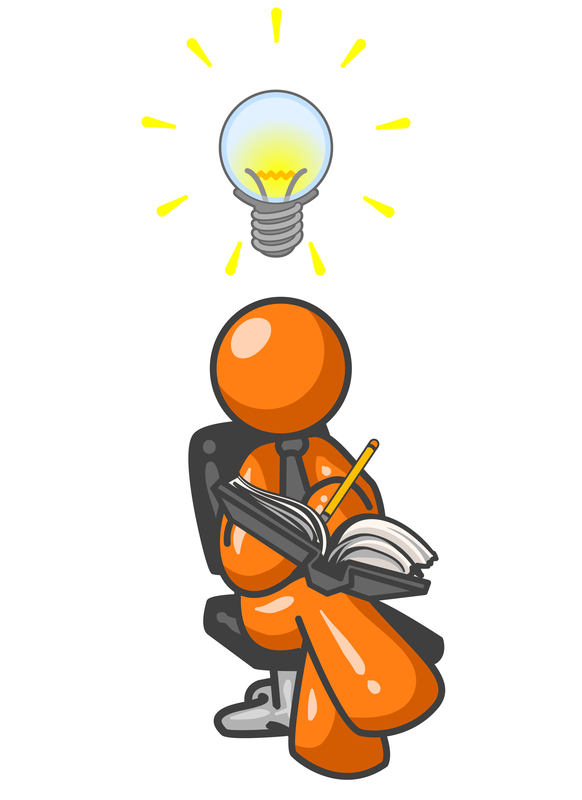 Not surprising though – our writing styles are pretty similar. Kate’s post reminds me of Anne Shirley’s quest for kindred spirits in Anne of Green Gables. At first, she thought they were rare. When she became part of a community and loved by the Cuthbert’s, she found many more of them. Great observation! Thanks for stopping by to share it. and Anne was such an enthusiastic embracer of life. Thanks for sharing this, Nancy and Kate. You’re welcome! She really did a great job with it, didn’t she.